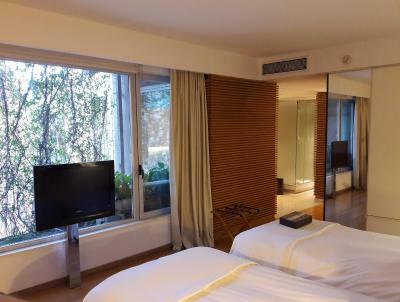 Lock in a great price for CasaCalma Hotel – rated 9.4 by recent guests! This small hotel has very comfortable, spacious, attractive rooms. Staff members go out of their way to answer questions and to help in whatever way is needed. Their attitude is always positive and service-oriented. I would definitely recommend this hotel for a stay in B.A. This hotel has good vibes, very cozy atmosphere, the staff was very friendly and helpful, and the breakfast was very nice. The room we stayed in was very big and confortable. The localization is perfect. Very near Florida Street and 9 de Julio Avenue, and really everything else. Highly recommended. Location is great Rooms are big and nice stayed in room 902 Nice jacuzzi The hotel lobby is small but the stuff Is amazing, really nice group. Best assets are location and staff. Location is wonderfully walkable and dun, full of restaurants. The staff was absolutely fantastic. rooms are really comfortable , rooms 601 , 701 are equipped with a jacuzzi , are really spacious , everything regarding the rooms is excellent . 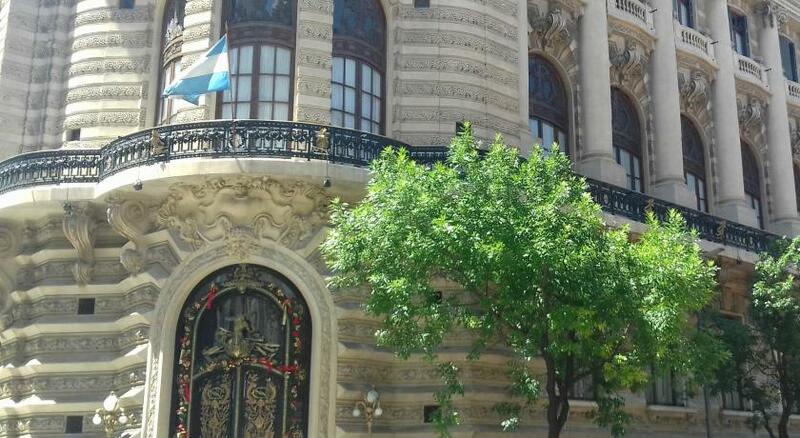 It was centrally located between San Telmo and La Boca to the south and Recoleta and Palermo to the west. very large and comfortable room. Big Jacuzzi and perfectly thought through ammenities. Staff especially friendly and helpful with information about the city, calling taxis, restaurant recommendations, reservations, etc. "superior double room" was very spacious, bathroom too. Location in lively neighborhood, but very quiet. Comfortable king-size bed. Very comfortable, clean, nice location, very nice staff! A real oasis in the middle of the town! 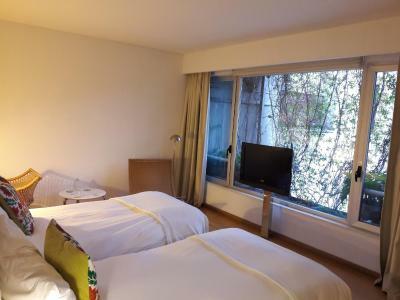 CasaCalma Hotel This rating is a reflection of how the property compares to the industry standard when it comes to price, facilities and services available. It's based on a self-evaluation by the property. Use this rating to help choose your stay! 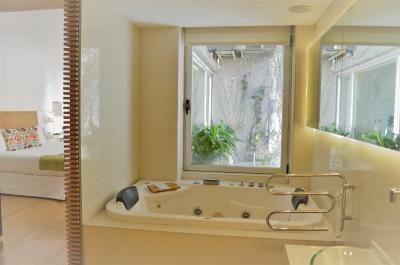 Just 1 block from upscale Santa Fe Avenue, Casa Calma Hotel offers chic décor and rooms with two-place spa baths. WiFi access is free. In-room massage sessions and yoga classes can be booked for a surcharge. 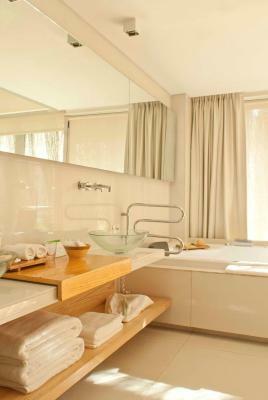 Air-conditioned rooms are styled with light parquet floors and a soothing palette of whites and natural fabrics. 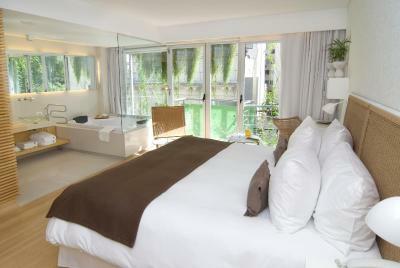 Rooms have designer style furniture, sophisticated wicker chairs, DVD players and flat-screen cable TV. Some rooms have private sauna facilities and balconies with city views. The property offers guests a homemade buffet breakfast, featuring a wide variety of hot dishes. 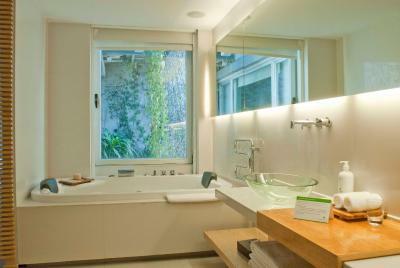 CasaCalma features a vertical garden, and is an eco-friendly designed hotel. There is 24-hour front desk assistance and complimentary bamboo bikes. CasaCalma is only 3 blocks from famous pedestrian Florida Street and 5 blocks from world renowned Colon Theater. The tour desk can arrange car rental. Jorge Newbery Airport is 3.3 mi from CasaCalma. When would you like to stay at CasaCalma Hotel? 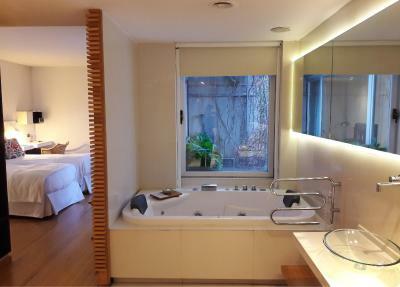 A spacious and luxurious room featuring an open bathroom with a double spa tub. Please note extra beds cannot be accommodated. 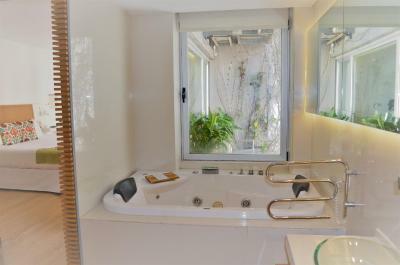 Spacious and luxurious room featuring a balcony, a large open bathroom with a double spa bath and an individual dry sauna. An extra bed can be accommodated. The first Hotel dedicated to the well-being culture has born wrapped into a beautiful living wall as a vertical garden. Personality and technology combined with innovative design, light woods and soft colors are joined in a warm style. Live a unique experience in the heart of the city. Personalized attention in a climate of harmony, tranquility and warmth. House Rules CasaCalma Hotel takes special requests – add in the next step! CasaCalma Hotel accepts these cards and reserves the right to temporarily hold an amount prior to arrival. Guests must show a valid ID document or passport, and a credit card when checking in. The area where breakfast is served is pretty small; however, you always have the option of being served in your room, at no extra cost. No issues really - maybe only suggestion is to make it clearer on the website that the difference between the 2 categories of rooms is that one has a sauna and the does not. CasaCalma is in a great area and very central. The staff were amazing and always prepared to help. I would recommend it to anyone who is visiting BA. The lobby is rather minimalist. We could not fault anything. The location is a little bit sketchy at night. That's not the hotels fault though and that's how it is in most big cities in Latinamerica. I mean everything was perfect from the staff service to the rooms. It's not necessary to specify the hotel is really great! Breakfast options. Just include breakfast! There wasn't anything that spectacular yet you had to pay either a la carte or too much for buffet style. Great vibe of this place. Loved the layout, design, greenery. Made it feel luxury without having to pay for luxury. We loved everything about CasaCalma: We arrived late in the night, but were greeted by very friendly and helpful staff. The property felt very cosy, our floor had only two apartments. Room was very simply but beautifully decorated, creating a truly relaxing environment. The bed was great, huge and comfortable. The bathroom was large and felt almost like a small SPA - we had a large jacuzzi tub, big enough for the two of us, and a small dry sauna, apart from the normal shower etc. Breakfast was simple yet very nice. Again, on departure, staff was very helpful and very very nice. This review, while factual, does not convey well how nice we felt at this place. It was truly a great experience.